Hotel Janaki provides you with all the needed amenities to unwind from the busy way of life. Located amidst nature and surrounded by coconut and palm trees on all sides, hotel provides you with the right ambiance that you need for a peaceful vacation. 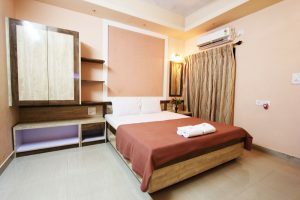 Situated close to Malvan and the Tarkali beaches, the hotel offers you best in range of lodgings and accommodations, all at an affordable price! Staffs at Hotel Janaki provide you services to make your stay the most memorable one. Being a two storied structure, the hotel has both AC and non AC rooms to suit the needs of the guests who come to stay over. There are in total 14 fully furnished and equipped rooms in the hotel. Out of the 14 rooms, the ground floor has nine non AC rooms, the first floor has three AC rooms and the second floor has the remaining two AC rooms. The restaurant is located on the ground floor. 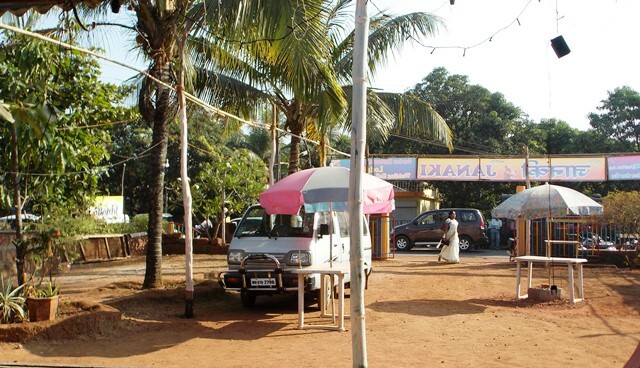 The restaurant provides breakfast, lunch and dinner and their speciality is the Malvani food. 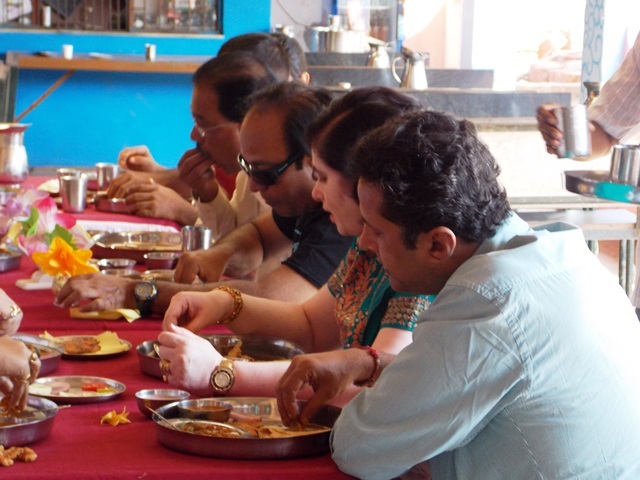 The restaurant is open 24×7 and the cooking is monitored by the host, Mr. Vinay Gaovkar himself. Apart from the authentic Malvani food, the restaurant also serves fresh seafood, Chinese, Mughlai and Punjabi food. A maximum of 100-150 people can dine at the same time in the restaurant. Alongside the restaurant in the ground floor, there is also a mini marriage hall that can accommodate 50 people at the same time. The hall can be booked for conducting small ceremonies and anniversaries. A regular marriage hall is located separately in the hotel and mostly gets booked by corporate for their conferences and for holding grand marriage ceremonies. We also Provide Economy Rooms & Large Halls @ Lowest Rate.